We’d love your help. Let us know what’s wrong with this preview of Enough Is Enough by Michelle Roehm McCann. From award-winning author Michelle Roehm McCann comes a young activist’s handbook to joining the fight against gun violence—both in your community and on a national level—to make schools safer for everyone. Young people are suffering the most from the epidemic of gun violence—as early as kindergarten students are crouching behind locked doors during active shooter drills. T From award-winning author Michelle Roehm McCann comes a young activist’s handbook to joining the fight against gun violence—both in your community and on a national level—to make schools safer for everyone. Young people are suffering the most from the epidemic of gun violence—as early as kindergarten students are crouching behind locked doors during active shooter drills. Teens are galvanizing to speak up and fight for their right to be safe. They don’t just want to get involved, they want to change the world. Enough Is Enough is a call to action for teens ready to lend their voices to the gun violence prevention movement. This handbook deftly explains America’s gun violence issues—myths and facts, causes and perpetrators, solutions and change-makers—and provides a road map for effective activism. 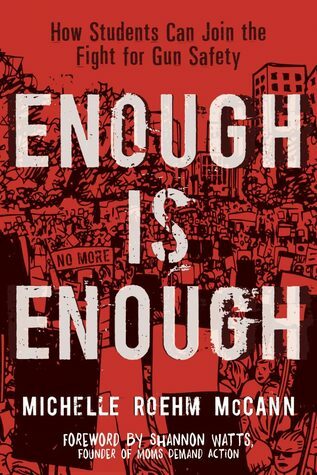 To ask other readers questions about Enough Is Enough, please sign up.